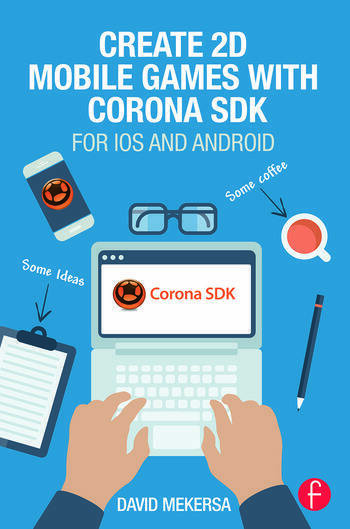 Corona SDK is one of the most powerful tools used to create games and apps for mobile devices. The market requires speed; new developers need to operate quickly and efficiently. Create 2D Mobile Games with Corona SDK gives you the tools needed to master Corona - even within the framework of professional constraints. A must-read guide, this book gives you fast, accurate tips to learn the programming language necessary to create games. Read it sequentially or as an FAQ and you will have the tools you need to create any base game before moving on to advanced topics. Includes a comprehensive companion website featuring online exercise files to practice coding, full build samples from the text, additional book details, and more! David Mekersa manages the French video game studio Casual Box. David started creating games on Amstrad CPC, then on the Amiga. He is a veteran in the world of new technologies with over 20 years of experience. At times developer, creator, designer, technical director, and head of international projects, he has explored all the intricacies of IT. In 2006, he created the website www.casualgames.frand in 2009 he launched Casual Box, the French video game studio. In his career, he has learned to master new programming languages in few days and to be organized like the pros. His most recent commercial game, Chicken Deep, was created in 2 months using Corona SDK, with no prior competences with the tool.David is president of PixLR, a French video game trade association.